When and Why Did Our Human Ancestors First Leave Africa? A new discovery in China may help bridge the gap between where humans began and where they are today. Photo by Prof. Zhaoyu Zhu. Researchers of human evolution awoke to exciting and provocative news from the journal Nature on Wednesday: Scattered remains of stone tools — dating back 2.1 million years — were unearthed in China’s Loess Plateau, bringing scientists one step closer to mapping the vast migration of humans from their origins in Africa more than 6 million years ago. The newly uncovered tools in China push back the date of the earliest signs of human existence outside Africa about 250,000 years from a previous discovery of 1.85 million-year-old fossils and tools in Dmanisi, Georgia — about 3,800 miles west of the newest excavation site. In an article appearing in Nature’s “News & Views,” University of Texas at Austin anthropology and geological sciences professor John Kappelman, who was not involved with the latest study, describes the importance of the latest findings in bridging the gap between where humans began and where they are today. We asked him to share some of his thoughts and projections about the research. Q.How does the discovery change our understanding of human migration from Africa? 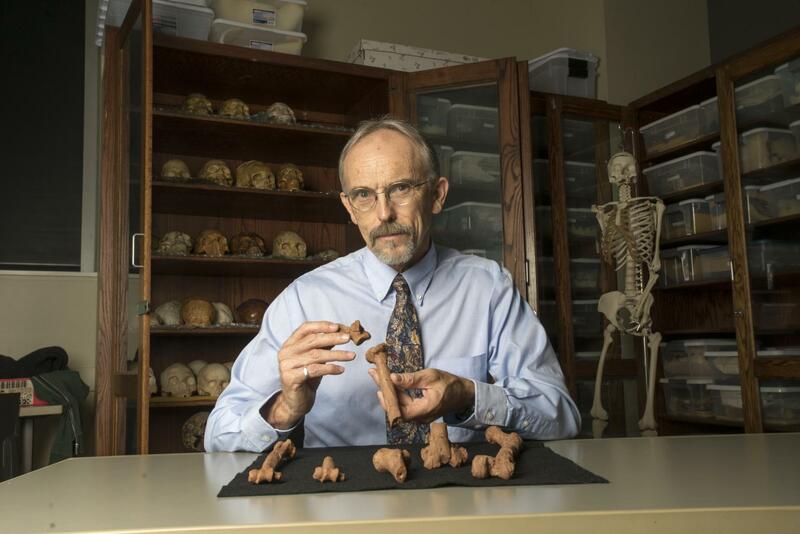 John Kappelman is a professor in the Departments of Anthropology and Geological Science. Photo by Marsha Miller. John Kappelman: Two things. First, the dates for the earliest dispersal from Africa keep getting pushed back in time, but the picture is beginning to come together: It looks like humans first traveled to Asia in the east, and only much later to Europe in the west, and this new discovery substantiates this point. Second, this more northerly expansion suggests that these early hominins were able to adapt to somewhat colder regions. But when conditions became much colder, their populations likely contracted south to warmer areas. Q.How are early humans found outside of Africa different from/similar to those found in Africa? Kappelman: Unfortunately, this new work recovered stone tools only, so without hominin fossils, we don’t know for sure who made them. But, given what we know from other sites, it was likely a close relative of ours, a member of the genus Homo. The earliest and best-known non-African human fossils from Dmanisi, Georgia — that’s the former Soviet Georgia, not the U.S. Georgia — are closely related to similarly aged species of Homo in East Africa. Q.What would motivate these populations to move? Kappelman: Today’s few remaining modern human hunter-gatherers often move in response to resource availability, much like people in industrial societies move to follow jobs. Once local foods are depleted, they move. I think it is likely that these early groups did not even know that they were in fact on the move. Today’s hunter-gatherers often have a daily foraging range of 5-15 kilometers (3-9 miles). If the ancient group’s annual movement was within that range, well, it was unlikely to be perceptible. However, when you add geologic time into the mix and divide the distance of 14,000 km between East Africa and China by 15 km (9 miles) per year, that enormous distance could have been covered in as little as 1,000 years. In geologic terms, it was an Orient Express! Q.What was going on in the environment around the time of the earliest suggested migration? Kappelman: This dispersal out of Africa took place during the glacial and interglacial conditions of Pliocene and Pleistocene. I suspect the movements more generally occurred during the warmer intervals, like the one that we currently find ourselves in, and that movements may have been more restricted during colder intervals. But during this early period, the amplitude of the climatic swings were not as extreme as those seen in the past million or half a million years. So in general, climates were more equitable. Q.Does the number of tools discovered indicate there was a large population existing in China 2.1 million years ago? Kappelman: I think the evidence from the stone tools could be best described as scattered rather than a dense accumulation. The tools definitely point to a hominin presence, but it is really difficult to impossible to use this evidence to determine the size of the population. Q.Were the tools made from materials natural to that area, or is it likely the early humans had traveled with them? 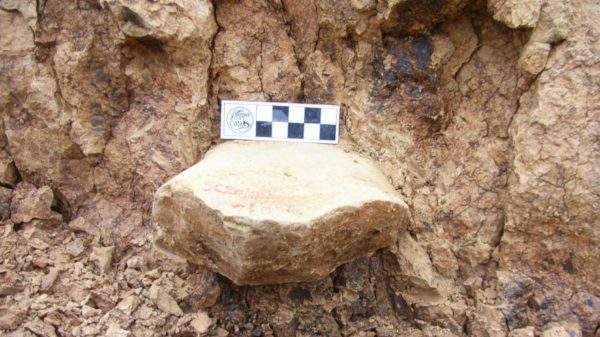 Kappelman: The evidence suggests that the raw materials came from the nearby Qinling Mountains, maybe 10 km away, but since the researchers did not conduct detailed excavations that aimed to recover the leftovers from stone tool manufacture (i.e., tiny flakes), we don’t know for sure if the tools were made on site or carried in. It might have been that the tools were rare enough that they were carefully curated and carried from place to place. Q.What new questions are researchers asking now that this discovery has been made? Kappelman: Because animal bones were found in the sediments near some of the stone tools, next steps should involve a close examination of these bones for cutmarks or percussion (smashing) marks to see if the people used the tools to process animal carcasses to recover meat and bone marrow. It is now even possible to examine the cutting edges of the stone tools themselves for biological residues (blood and proteins) to see if this evidence is present. Given that animal bones are present, I’m sure the team will carry out a thorough search for human fossils. I anticipate some large-scale excavations in the region.